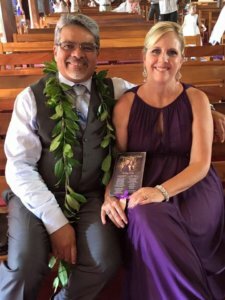 David de Carvalho is the 31st pastor of Mokuaikaua church in Kailua-Kona, Hawaii. 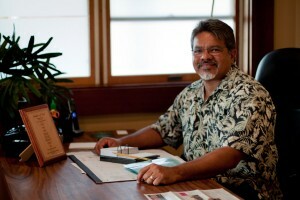 Born in Rio de Janeiro Brazil, he moved to Hawaii in 1981 and has called the Big Island his home ever since. Mokuaikaua is the first and oldest church in the state of Hawaii. Majestic and beautiful, it sits in the middle of Kailua Kona, welcoming over 4000 visitors every month. It is a place of spiritual inspiration for many throughout the week. With over 400 in weekend attendance, Mokuaikaua has testified of God’s mercy and grace over the Hawaiian Islands since 1820. Reverend David has a pastoral heart with a vision for missions locally and internationally. He has ministered in more than 30 different nations; and his desire and prayer is to see the gospel preached to every nation of the world to see the Kingdom of God coming to earth as it is in heaven. David and his wife, Kim, have four children. Two boys and two girls from the ages of 28 to 16. They love their children, and family. His hobbies are beach volleyball, soccer, reading, and water sports.